Nearly half of respondents reported experiencing adverse events during their handling of systemic cytotoxic chemotherapy. Tracking and treating adverse events (AEs) forms a critical part of care for patients with cancer, yet healthcare providers also can experience AEs from administration of systemic anticancer therapy, particularly cytotoxic chemotherapy, according to a study recently published in the British Journal of Nursing. Many systemic treatments used to treat cancer are also carcinogenic, teratogenic, and mutagenic. Healthcare workers, particularly nurses who administer these therapies and pharmacists who prepare them, can be exposed to these agents, thereby increasing their risk of experiencing AEs. The use of closed systems may help limit clinicians’ exposure to cytotoxic chemotherapy, thereby decreasing their risk of developing AEs. What trust do you currently work for? 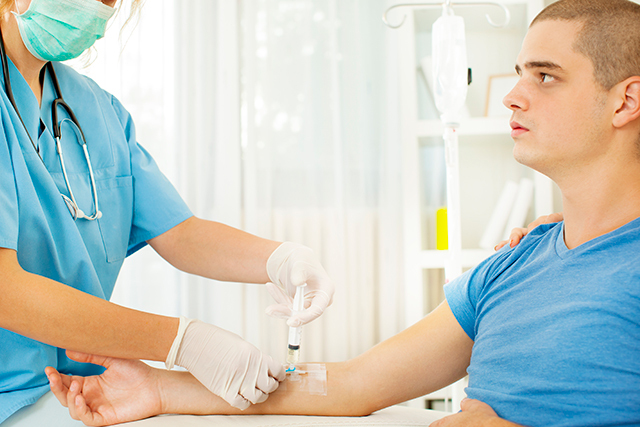 Do you currently, or have you ever, administered cytotoxic chemotherapy? Have you ever experienced any of the following adverse effects when preparing, administering, or after administration of cytotoxic chemotherapy? Do you currently use closed systems for the administration of cytotoxic chemotherapy? The first question enabled researchers to determine the geographical regions of participating nurses to assess potential regional variation and to determine adequate nationwide representation. The third question listed 6 AEs (nausea, dizziness, headache, miscarriage, fertility problems, hair loss), an option for not having experienced any AEs, and an option of “other,” allowing participants to specify AEs experienced but not otherwise listed. Participants were allowed to to list as many AEs as they wanted in the “other” category, which enabled insights into additional AEs participants attributed to exposure to cytotoxic chemotherapy. The fourth question aimed to establish the frequency of use of closed systems in administration of these agents, as closed systems can limit and prevent exposure to these drugs. Notably, closed systems are not the only means by which exposure can be limited, and other control measures can be applied. In the interest of ease of survey, researchers only included a question on use of closed systems.